New from old store stock in a shelf worn package. I copped them you hock them. Typical bowed card with pin hole store hanger and sticker. 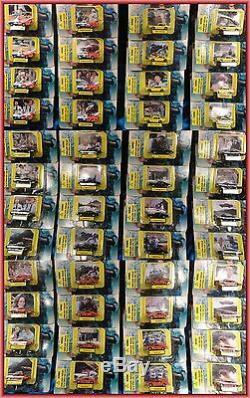 48 Blister pack's of 1/144 scale toy cars. 8-1974 Plymouth Road Runner's. 8- Red White & Blue Tow Truck's. 16-Orange 1969 Dodge Charger's. 16-Black 1969 Dodge Charger's. What you see is what you get. 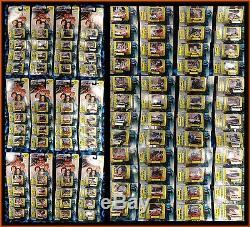 The item "Wholesale lot 48 Racings Champions 1/144 The Dukes of Hazzard Show Cars & Cards" is in sale since Wednesday, January 20, 2016. This item is in the category "Toys & Hobbies\TV, Movie & Character Toys\Dukes of Hazzard". The seller is "hoitytoitytoys" and is located in Midland Park, New Jersey. This item can be shipped worldwide.